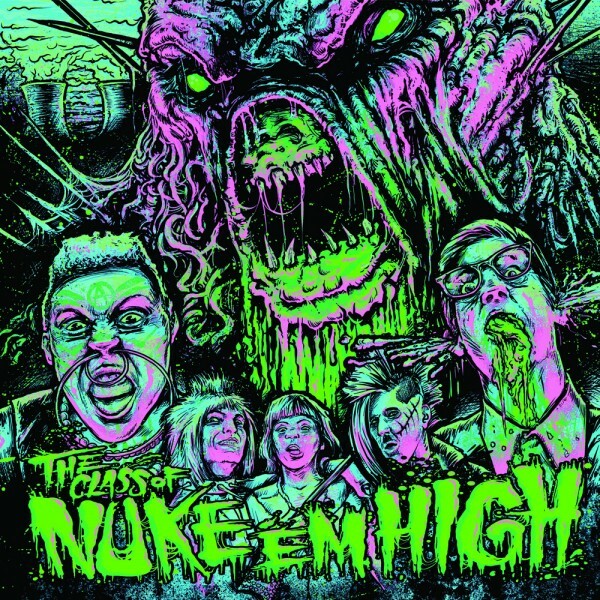 Ship to Shore Phonograph Co. are getting ready to release a newly remastered vinyl pressing of the soundtrack to the 1986 horror comedy Class of Nuke ‘Em High. It will feature the classic unreleased various artists soundtrack plus the theme song by composer Ethan Hurt. 1000 first press copies will be released, the first 700 on 180 gram black vinyl. The next 300 will be on “Dewey’s Meltdown” splatter vinyl variants. Each copy will included a digital download card with the digital version including an exclusive track-by-track commentary by Troma President Lloyd Kaufman. Release date is November 11, 2014. You can pre-order now at Ship to Shore. Tags: Class of Nuke 'Em High, Ethan Hurt, Ship to Shore Phonograph Co.